All the Info You Need, Right at Your Fingertips! 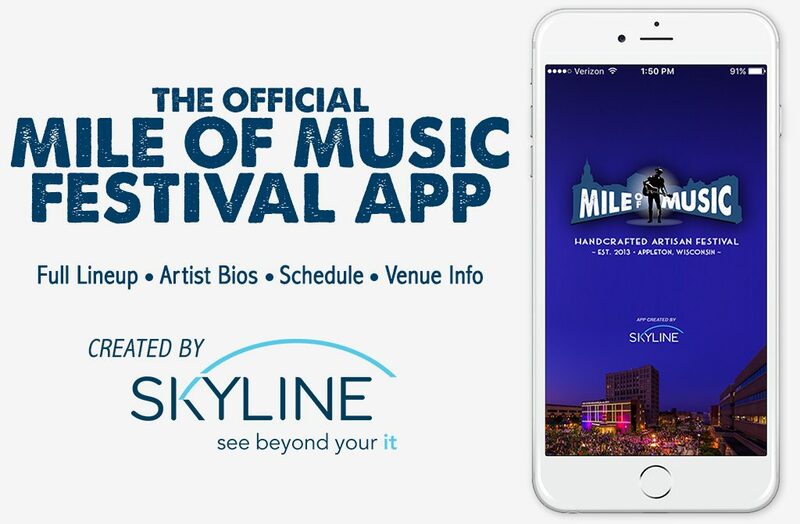 The Official Mile of Music Festival App is now available for FREE download thanks to the talented team at Skyline Technologies. Utilize the Mile of Music app as a resource to help you chart your Mile experience. With our app, you can preview the performing artists, view show times and venue locations, create your own individualized schedule and much more! Get set for a weekend full of live original music by downloading the Mile of Music app for free through the App Store and Google Play.